Apple Releases iOS 7 Beta 2 to Developers UPDATE: iPAD VERSION! So far the only information given is bug fixes and improvements. We could see an iPad version later today as Apple has not updated the developer portal. If you are not part of the developer program do not install as your phone will become unusable. Downgrade to iOS 6 and wait. 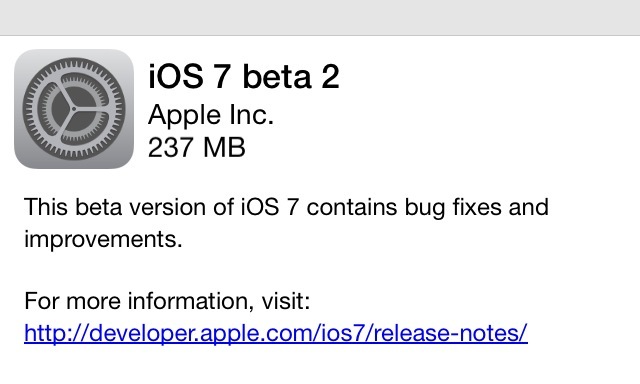 To install iOS 7 beta 2 go to Settings>General>Software Update. The update will take some time to download and install. Next ›Happy 6th Birthday iPhone!